The Australian state of Victoria isn't the country's largest state (in fact it's the smallest mainland state), but it does contain one of Australia's most popular cities as well as some stunning natural scenery. Victoria is where you'll find Melbourne, the state's largest city, along the southern coast of the state. While it's mainland Australia's smallest state, Victoria is home to a huge population. 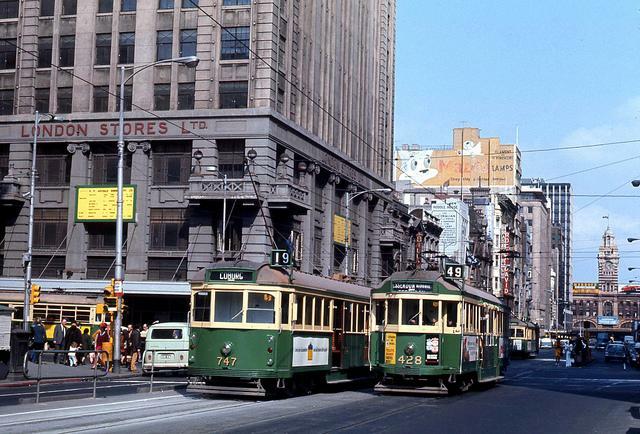 It's also one of the country's main tourist draws, partly because of the city of Melbourne. Melbourne is a dynamic and beautiful city with lots of tourist attractions right in the city as well as plenty to offer adventure travelers as well. The city sights include the Melbourne Aquarium and the Melbourne Zoo, as well as more cultural attractions like the Melbourne Museum and National Gallery of Victoria. Get outside the city of Melbourne, however, and Victoria's natural riches are on display. Visitors to this region can enjoy beautiful coastal rock formations like The Twelve Apostles, and catch sight of the adorable Fairy Penguins on Phillip Island. The Yarra Valley is well-known for its wineries, and Victoria is also a great destination for adventure sports like hang-gliding, ballooning and scuba diving. Melbourne is where you'll find Victoria's main international gateway, so no matter where you're planning to visit in the region your ticket to Victoria starts with a flight to Melbourne. Once you're in Victoria you can get around within the state using the V/Line train network as well as buses. Read: City Slickers Go Bush, Victoria, Australia. Accommodation options will vary depending on where you're planning to stay, but you'll be able to find hotels in Victoria in just about every budget range. You'll find luxury hotels in Melbourne and resort destination properties in other areas of the state, but generally speaking once you get out of Melbourne most accommodation will be less expensive. You'll also find hostels throughout Victoria if you're really on a budget.